Hotel Naturplaya welcomes all dogs, no matter size, however reservation needs to be done when booking. The cost per dog is 20Euros/day. 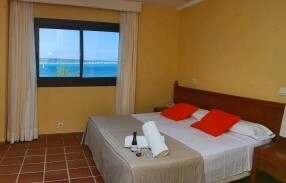 Hotel Naturplaya is the perfect destination for those seeking quietness and rest. 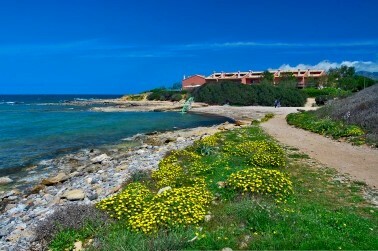 A small complex located at the sea-front, facing the natural beach of Sa Canova. Our excellent location in the Bay of Alcudia allows our guests to enjoy stunning sunsets in the Spanish Mediterranean. 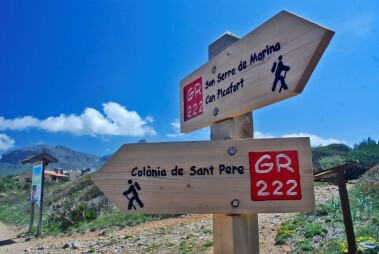 The pets are allowed, in company with the owner, in all areas except at the pools bathing areas, common terraces and the main gardens are free for use. Water bowl is also provided. At the hotel pets can run free as long as this doesn’t interfeer with other guest, at the beach,a Natural area off common interst, the pets are allowed to walk free always at sight off their owners. Hotel Naturplaya is a small beach hotel in an natural area that gives plenty off relaxing sensations as well for the animals as their owners. Due to the exellent geographic situation so near to an natural park and not having any traffic around the harmony with nature and pet is one off our most apriciated issues. 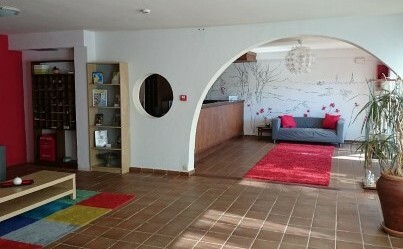 The Hotel is naturist from May 3st to October 31th. During the naturist season, it is still mandatory to dress in the bar and restaurant areas. Warm welcome to all pets and their owners!